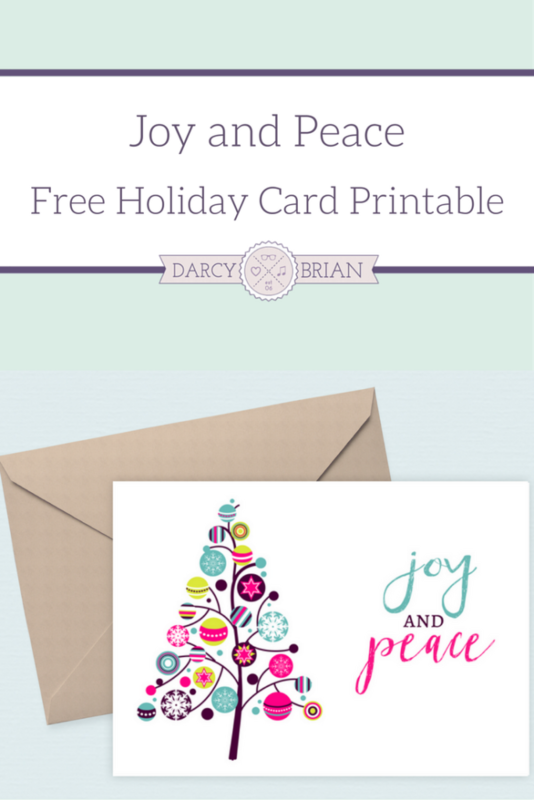 Save time and money with these free Joy and Peace printable holiday cards by printing out the exact number you need. They are perfect for last minute Christmas cards! Confession: We don't send out Christmas cards every year. We love ordering holiday cards from Tiny Prints, but sometimes I forget to order them in time. I know that seems ridiculous, but when you factor in delivery time, plus addressing them, and finally mailing them out…well, let's just say that holiday procrastination is a real thing. The other issue I've run into in the past is the number of cards in a box. This isn't an issue when ordering online, of course, only when we go to the store. For years we would go to the store to pick out Christmas cards and run into a dilemma: purchase more than one box or eliminate people from our card list. I always felt bad trying to narrow the list down further. It was like a bizarre game of holiday card survivor and no one was safe. I hated buying an extra box or two, because we always had leftover cards. We used to buy one set of more traditional Christmas cards and one set of funny cards, but we still ran into the issue of leftover cards. At the time, I never thought of crafting with them to create all new cards the following year. 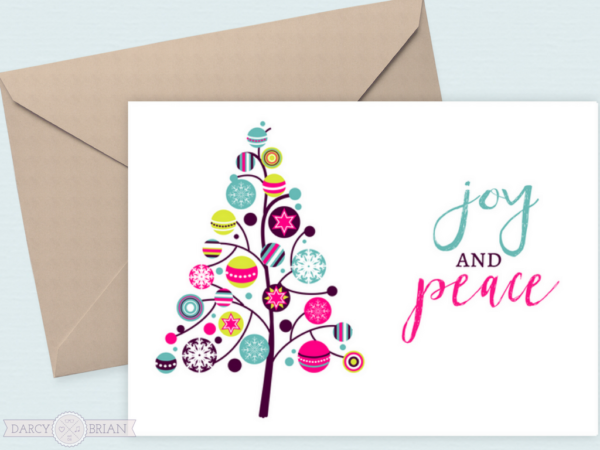 What I love about this Joy & Peace printable holiday card is the ability to print the exact number you need. Plus, if you mail out a bunch of cards to friends and family then realize you forgot someone, just print another out quick and send. I recommend printing them out on white card stock paper. You can print and cut them to be a single sheet 4×6 postcard style. They can also be printed and folded to have plenty of blank space to write a personalize note inside. To print them out and fold them, I changed my printer settings to “booklet” and rotated the image the way I wanted it. If you don't want to print them out yourself, go some place such as a local print shop or Office Depot. 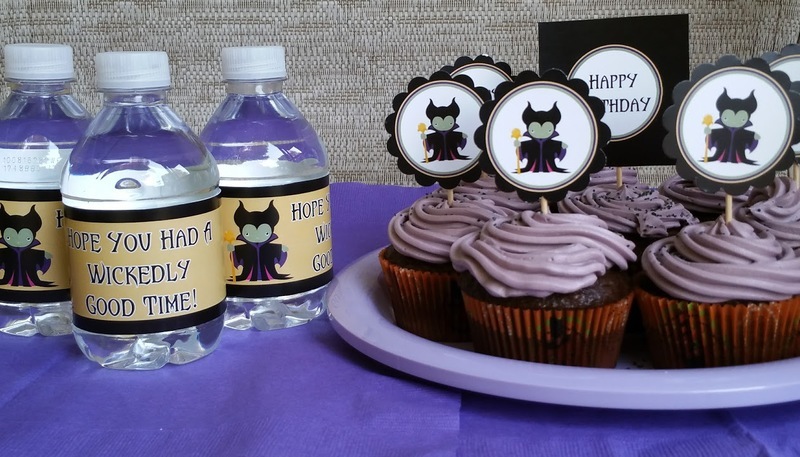 I find it quite affordable to get my printables printed out that way. These printable holiday cards are for personal use only, but you can save and print as many as you need to give to your friends and family. The style works well to give them out anytime throughout the holiday season! Don't want to mail them out? Use them as gift tags on your holiday gifts! I love how bright and cheery it looks. Thanks, Lauren! This is so beautiful! I hope you’ll stop to share it with us at The Crafty Corner link party! I’m glad you like it, Antonella. Thanks! Beautiful card! 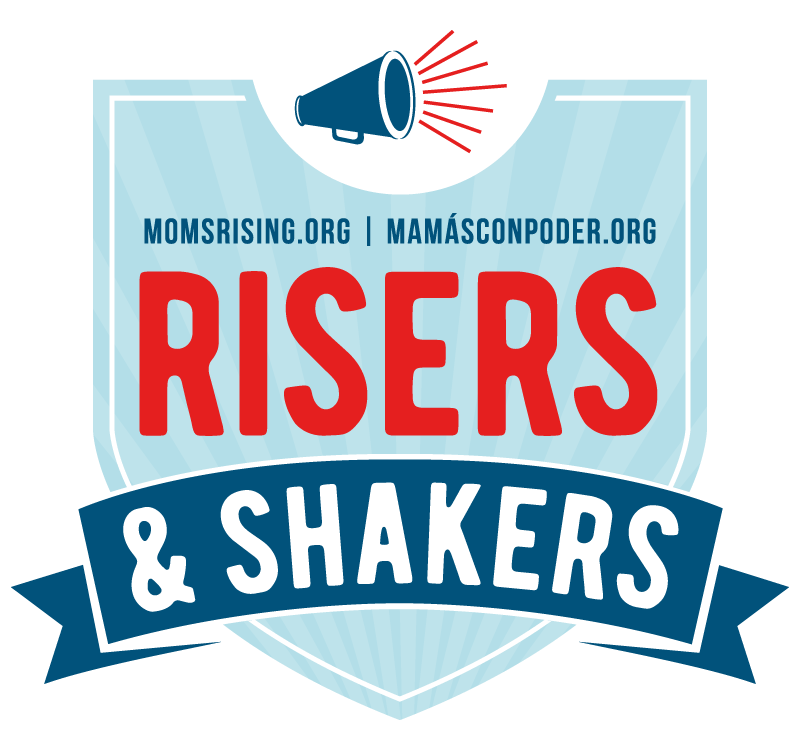 Thanks for sharing at Motivation Monday on Mom Home Guide! These printable cards are beautiful! I’ve included you in this week’s Monday Funday features, http://www.100directions.com/cute-christmas-printables/ . Thank you so much for sharing! Thank you, Jen! I really appreciate it. Have a wonderful week!